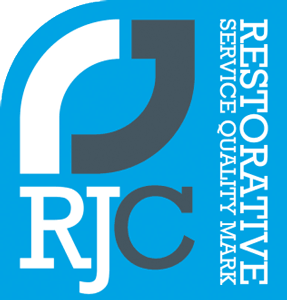 This week Victims First Northumbria (VFN) will be supporting International Restorative Justice Week to highlight its role in helping victims recover from their experience of crime. As part of the work they carry out, VFN and a victim, Joan (not her real name), wanted to share Joan’s story to show the benefits the Restorative Justice process can have for victims. After her sister’s murder, Joan had been left with a lot of unanswered questions, she hadn’t been able to voice her thoughts and feelings and generally felt unable to move on. Joan then contacted VFN, an independent charity set up by Northumbria Police and Crime Commissioner, Dame Vera Baird QC, and whose staff are trained to help support and facilitate the communication between victims and offenders. VFN worked with Joan and liaised with the prison and after further discussions and completion of risk assessments with both Joan and the offender, VFN were happy to proceed with Joan’s wishes of a direct conference to be held at the prison. During the conference, both Joan and the offender had the opportunity to talk about the incident and how they felt. Joan was able to ask questions she’d needed answers to, explain the true impact the incident had on her and her family and also to hear the offender’s perspective. The meeting was highly emotive and was very carefully managed and supported by the VFN facilitators. On Thursday 22nd November, VFN will be holding a Q&A session where our staff will be on hand to answer any questions people may have or to provide more information and advice about engaging in Restorative Justice.